Facebook is one of the biggest social media Platform. It is not only about uploading video and pictures such as Instagram but it’s more, a combination of the variety of features. You can share/upload images as well as share your thoughts with your social contacts/friends on facebook. Facebook gives soo many features for each activity you do there. Such as with posting quotes you will have features to express your feelings and attach photos or videos with them too. Similarly, you can give a like to images or videos with different emojis. The best part of Facebook is all its security features by which you can secure your account. If you have accidentally blocked someone on facebook or if there is some other case, but later you recognize to unblock that person then you probably wondering how to unblock someone on facebook. Since Facebook is used by peoples in facebook app version or messenger as well as PC also, so we will explain the process to unblock someone on facebook for both. Login and Open your Facebook Account. Click on the direction icon from the header. The icon will drop down all the options, click on Settings. Now in the Next window, choose Blocking option from the right-hand side. Blocking option will show you the list of all Facebook IDs names you have blocked. Along with each Facebook ID you will see a link saying Unblock. Click Unblock link option given with the desired profile name which you wanted to choose. That is it. Once you done with above steps it means you have successfully unblocked the facebook profile which you wanted to be unblocked. You can also use this page to do vise-versa, means if you want to block someone then type the name of that person on the name of that person or email of that person’s facebook account on the given box and hit Block button. This process to Unblock facebook account is only limited with the web version of facebook which you can access through your PC or laptop. However, if you often use facebook messenger and not using the web version of it, then you need to follow this below explanation for unblocking facebook account in messenger. 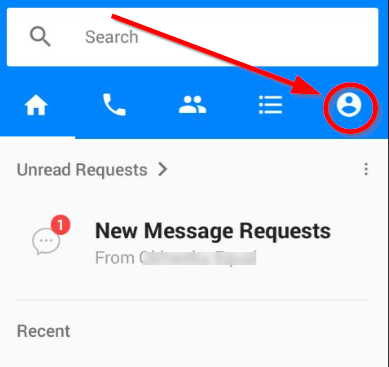 Click your profile icon on the top right side of the messenger window. 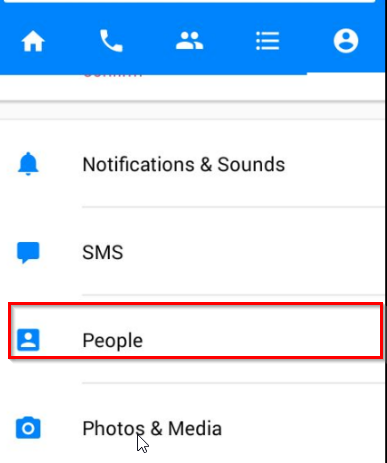 It will open profile window on messenger, scroll down and click on People option. Now, click on Blocked people option. 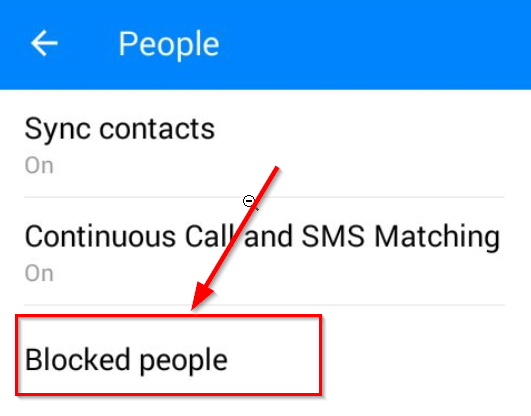 The next or Blocked people windows will show you the list of contacts that you have blocked, Along with each profile name you will see Unblock button, click the desired Unblock button. Once you followed all above steps, it means you have unblocked the person on facebook using your facebook messenger. On the blocked people window is also capable of blocking any facebook profile/account. 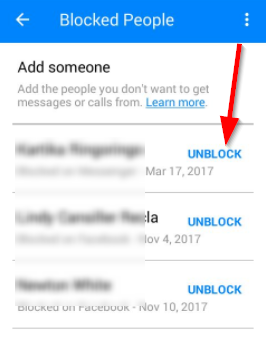 So you can easily block someone on messenger. All you have to do is, click the Add someone button on the Blocked people window. It will show you the list of Facebook profiles which you have friends on your facebook account. Choose and click the account of someone which you want to block on messenger. Enable the first button which says Block all messages. And you are done. This method is only to block messages of that facebook account but the person can still see your facebook profile and access your Facebook account as a friend.